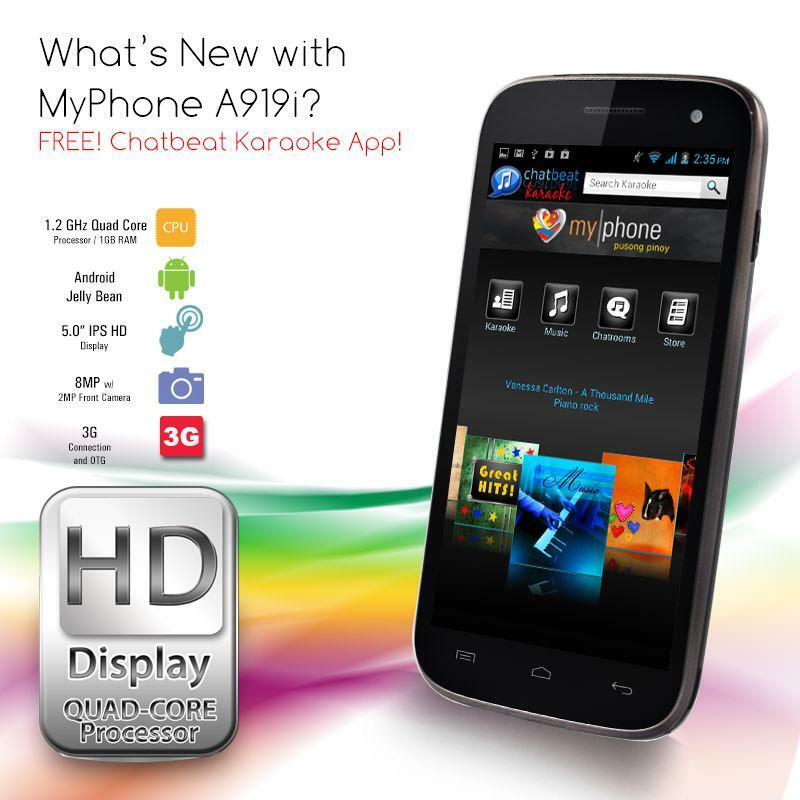 MyPhone A919i Duo - Full Specs - All Chucked Up! Quadcore processor, HD Display, Jellybean, 8MP Rear Camera / 2MP Front Camera, 3G and OTG, plus so much more and being sold at a very affordable price. Seems like a very good deal, don’t you think? What are your thoughts? Leave your comments below and let’s get the discussion going. Cheers! 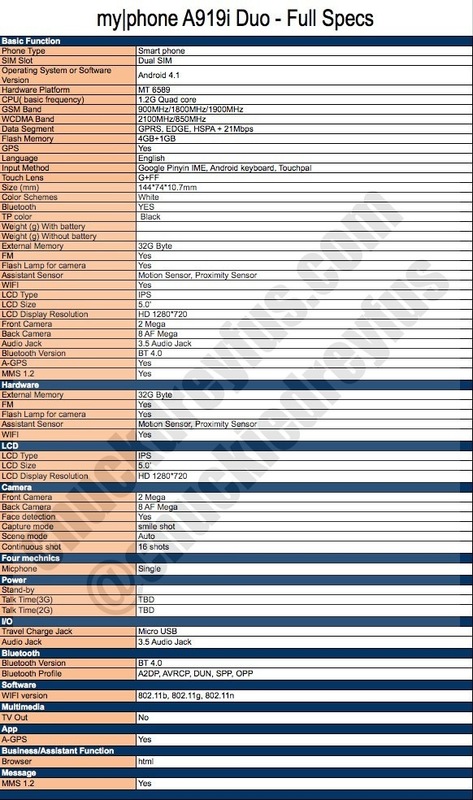 Check out the FULL SPECS of the upcoming MyPhone A919 3D Duo by clicking here. ‹ SPECK-tacular Sale! 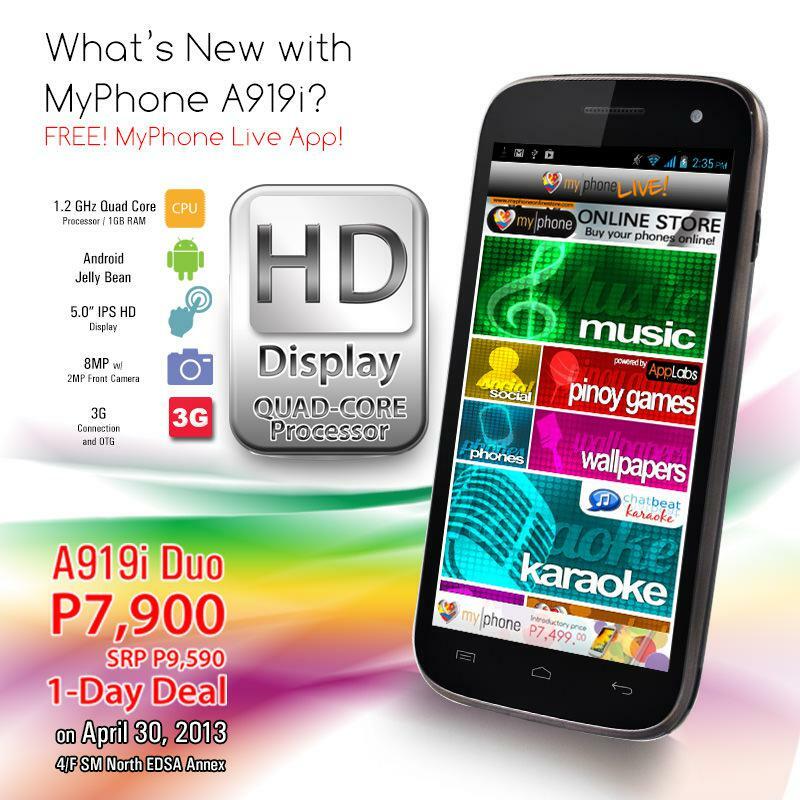 › MyPhone A919 3D Duo! Exclusive Info Plus Full Specs! MyPhone A919 Duo Full Specs | all chucked up! MyPad 2 – Full Specs | all chucked up! MyPhone A919 Duo Updates | all chucked up! MyPhone A818 Duo Review – Unboxing | all chucked up! is the screen glass scratch proof the likes of gorilla glass and trail glass? Ano and sizes ng SIM cards? standard/micro/nano? Can i update my a919 to.a919i? Sorry. No. Hindi possible yun. A919 and A919i have hardware differences. A919i already sports an HD display and uses a quad core processor. meron bang flash ung cam nia? 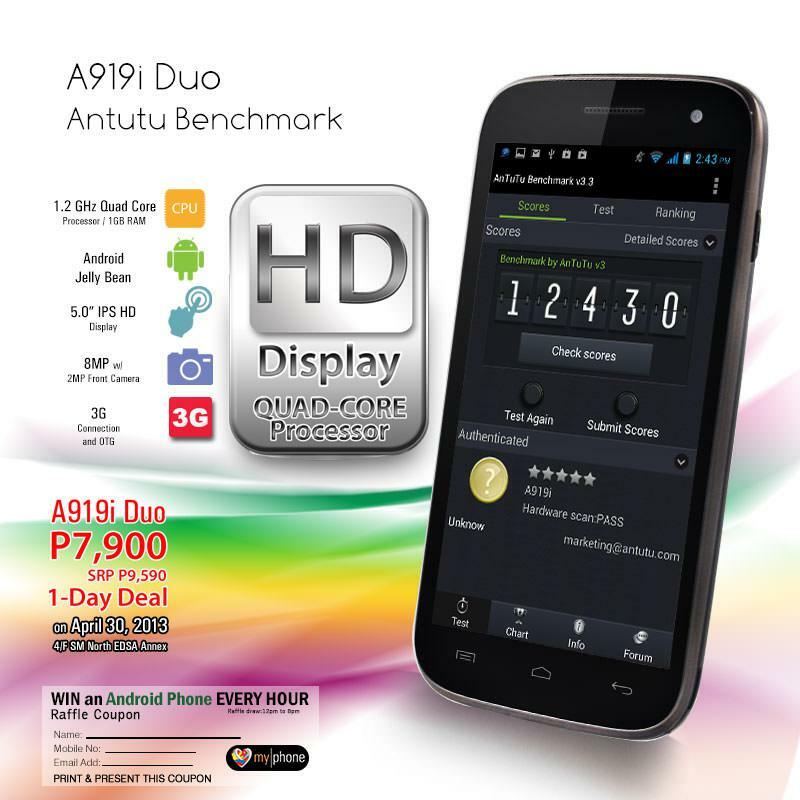 ok po ba gamitin ang A919i? By hd, ibig sabihin 720p?